Anyone involved in climate or environmental politics will have been inspired last summer when the workers at the Vestas Wind Turbine blade plant on the Isle of Wight occupied their factory against its closure. They followed the Visteon workers who occupied their plants in Enfield and Ireland against closures. Sadly the Vestas workers didn't win, but the Visteon workers earnt a fantastic improvement in their redundancy payments. It might be to early to predict, but activists around both these disputes felt a new atmosphere in the workers movement. For too long dormant, the desire to fight back against cuts and closures broke through. The occupation tactic was a new one to many in the movement. 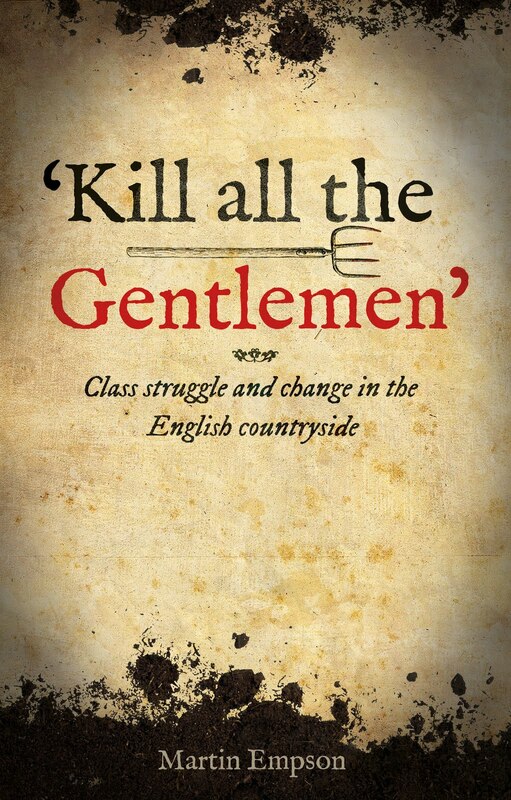 It's been a long time since such actions had been seen in the UK, but Dave Sherry rescues the tradition and helps us learn the lessons with this new book. Sherry points out that occupations can be better than strikes. They don't leave you standing on a cold picket line for one thing. But more importantly, they prevent the use of scab labour to break a strike, the closure or dismantling of a plant's machinary or the sacking of those refusing to work. More importantly than this, they raise the prospect of workers control of the means of production and by their very nature, they encourage participation - in the strike and in the support of it. Sherry looks at a few examples. He misses some - there is only limited mention of the actions in South America recently that showed the immense potential for workers to challenge private profit. But the examples Sherry used are inspirational. The mass occupation of the Italian factories in the early twenties brought the country to the brink of revolution. The experience of the US where sit-down strikes created unions in places no one had thought possible. The stories of France in 1936 and again in 1968, which shook a whole nation, and in the case of 1936, won serious gains that we now take for granted - paid holidays for instance. This book is a polemic. Aimed at arming a working class under increased threat from economic recession, it also clearly argues that rank and file trade unionism is a must for such tactics to win. A few sad examples of bureacratic occupations that didn't inspire or push outwards, which went on to loose illustrate this. Not missing is Britain, which has a truely brilliant history of such struggles, which I was surprised to learn went on (with some success) well into the Thatcher years, a period which we are told was the end of trade unionism in this country. Finally argues Sherry, we need socialist organisation that can help spread the solidarity and the message that workers can win. It's a lesson more and more workers are going to start to draw when the next government starts its cutbacks. The East End of London has had more than its share of historians. This shouldn't surprising as it was the centre of some of the most important industries to the British Empire – in particular its docks. But the rich diversity of the area, the first stop for a succession of different immigrant cultures that continues today, has made the area a magnet for writers. Sarah Wise concentrates her book on a tiny geographic area. She has chosen the area known as “The Old Nicol”. A long since vanished slum, filled with the most appalling housing and poverty. In the late 1800s the area was already gaining a reputation and was often the destination for visitors who had something to say about the poverty. Everyone from anarchists and socialists to the rich charity donors and the clergy had something to say about the way in which such poverty could exist at the heart of the richest city in the world. Wise looks at who this slum came about. How it developed out of need, with landlords (themselves often secretive and very wealthy men) could make fortunes offering housing to the poorest people. She shows how early attempts at reform and improvement were often blocked by the rich local politicians – who often had their own fingers in the pie. We learn of individuals, some courageous with nothing but alturism on their minds. Others with the vested interests of others – in particular the church – came to the area to try and alleviate the suffering. We also learn of the struggles that shaped the region, how the people themselves tried to escape the poverty, by resisting the system itself, or by stealing and living below the law. One of the interesting themes that runs through the book, is that there is a instinctive collectivism by the people who lived there. A mistrust of authority, that means those escaping the police could always besure of an open door or a helping hand. Finally Wise discusses the destruction of the slum and it's replacement by what is now the Boundary Estate. These new homes were designed as ideal homes for the poor working people of the Nicol. Yet they proved inadequate for the needs of those whose lives didn't fit the Victorian idea of working life. No trace of the Nicol remains. Wise has brought it to life from contemporary accounts, newspapers and census records. A fascinating expose of the foundations that modern London are based on. It's difficult to believe that this 1947 novel about life in Berlin under Nazi rule, only made it into print in English in 2009. As no less an authority than Primo Levi commented, “the greatest book ever written about German resistance to the Nazis”. Our heroes, Otto and Anna Quangel are quiet, unassuming people. At the start of the book, Anna receives a standard letter informing her that her only son has been killed at the front (we presume in the Battle of France). This inspires both of them to gradually take on a campaign of resistance against the Nazi regime in general, and Hitler in particular. Resistance means many different things. Under a totalitarian regime, with an unprecedented network of spies and snoops, a complex and extensive security apparatus and a reputation for the utmost brutality, open resistance doesn't last long. Otta and Anna's resistance takes a quiet form, but one that nonetheless angers and terrifies the Nazi power structures. Rather simply, they take write cards with anti-war or anti-Nazi slogans. Despite how the Gestapo imagines them, these aren't the writings of Communists, but the anger fuelled rage of two people whose lives are being destroyed by the Fascist regime. Simple but for the Thousand Year Reich, no hint of feeling against the regime must be allowed to shine through. So the game of cat and mouse begins. The Quangrels drop a postcard a week at first, gradually gaining confidence. Knowing that the state is trying desperately to identify them. To tell much more of the plot would ruin one of the world's great novels. But what makes it particularly brilliant are the details of life under the Nazis. The way the system rests on the willingness of some to sell their friends and family. The way in which details of the wider, more horrific horrors are leaking out, gradually. The way that many people don't accept the Fascist government, who are on the Gestapo lists simply because they don't conform, or spoke out once in public. My own family lived in Berlin at this time. My grandfather, a baker by trade refused to Sieg Heil once after a job interview. Something that almost lost him the job, but could certainly have landed him in far deeper water should someone have complained to the right person. It seems a minor gesture now, meaningless when compared to the atrocities of Treblinka, Dachau or Auschwitz. But the story was told with pride and honour by relatives who knew what it was like to be watched by men who would torture you at a moments notice. 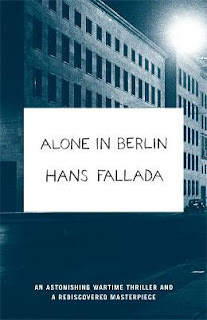 It's this atmosphere that Fallada captures with such brilliance. The end of the novel isn't easy, but in many ways it is full of hope. Even in the darkest of hours, there are those who refuse to bow down. Fredrick Engels spent much of his life in the shadow of Karl Marx. In itself, this shouldn't be too surprising - Marx's genius eclipsed most of his contemporary thinkers, his prodigious output was enough to drown out other socialists of the time, and his personality was one that made it hard to stand out against him. In addition, Fredrick Engels, son and heir of one of Germany's growing cotton industrialists was happy to pay second fiddle. He did this to allow Marx the opportunity to develop and write the most important social theories of Marxism, knowing that it was his own labour helping to run the cotton industry that enabled Marx to fund his work. However Engels was a great thinker, activist and writer as well, and Tristram Hunt's new biography brings out this great life which has been kept too long in the shadows. Hunt starts by examining what would make a young son of the bourgeoisie move to radical politics, placing it very much in the context of a Germany breaking free of the old feudal order and the constraints of church and state, moving towards a new industrial capitalist order. The ideas of Hegel and other radical atheists challenging the old ideas that helped to hold back the development of the new. From such ideas, it was an easy step, as it was for Marx, to start to challenge the growing belief that emergent capitalism would bring peace and prosperity. Engels was someone who judged ideas on experience and what he saw in the industrial heartlands of Manchester clearly brought him closer to a belief in a socialistic future. His horror at factory conditions was not the false sympathy of the rich charity donor, but a seething anger at a system that wrecked lives in the name of profit. Hunt follows the growing friendship and collaboration between the two revolutionaries. It wasn't simply money that Engels sent to help Marx. But his proofing skills and his ideas. 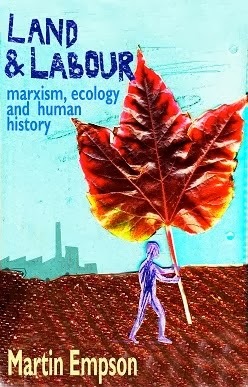 Engels finished articles and books that Marx had abandoned. Prodded and poked the other into work and became a close family friend. But what shines through for me is that Engels was a man who loved life. Fine wines and walks in the country, travel and the excitement of revolution. For Engels the world could produce plenty and he clearly believed that the bounty that capitalism had produced should be something to be enjoyed by everyone, not a select few. He wasn't someone to abstain from his own enjoyment. He loved to party. But he also knew that he was in a privileged position, one that could only be extended to others if capitalism was overthrown. The later chapters of the book deal with Engels' life after the death of Marx. Here Engels comes into his own. Free of the shackles of helping to run the mills, he is able to write and get involved in politics in a way he wasn't able to before. It's now that some of his greatest writings get published - works on sexuality and the family, the origins of humans and his writings on science. For the developing socialist movement on the continent, Engels was a living link to the past, and to Karl Marx. But if later governments and parties acted in the way that they did because they believed that Engels gave them a blueprint that matched their own beliefs, Hunt shows us just why they were wrong. Until his last days, Engels argued that Marxism was not a dogma, but a guide to action. Engels was always keen to avoid placing himself above Marx, but never shy of his own arguments. The use by Stalin and others to put Engels on a pedestal to justify their actions, deliberately misunderstands that Marxism is a way of looking at the world, not a hard and fast explanation of how society must work. 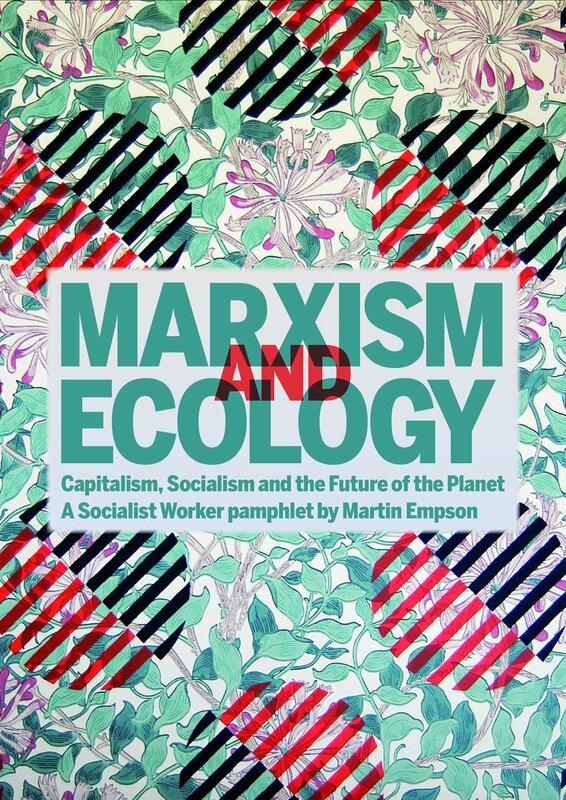 For any Marxist or revolutionary socialist reading this book, there are inevitably quibbles. I found some of Hunt's descriptions of Marx and Engels actions a little unbelievable. At one point for instance, he implies a cynicism towards the defeat of the Paris Commune, based on the Communards failure to create political organisation along their preferred lines. But such criticisms by the revolutionaries are done in the interests of the movement, and they certainly didn't celebrate the Communes defeat. In fact, as Hunt shows they sheltered and aided those fleeing the counter-revolutionary brutality of the French regime. This however is perhaps more of a criticism of style or at least a misunderstanding of the importance of the Commune. While Hunt has an excellent understanding of how Marx and Engels' understanding of the problems of capitalism help explain events in the modern era, he isn't writing to arm us for the destruction of capitalism today. Nevertheless, this is a fantastic introduction to the life of one of the world's greatest revolutionaries, and to the politics upon which the modern socialist movement is based. It should be a springboard to reading further works of both Engels and Marx, but will help many put their ideas into the context of the times.